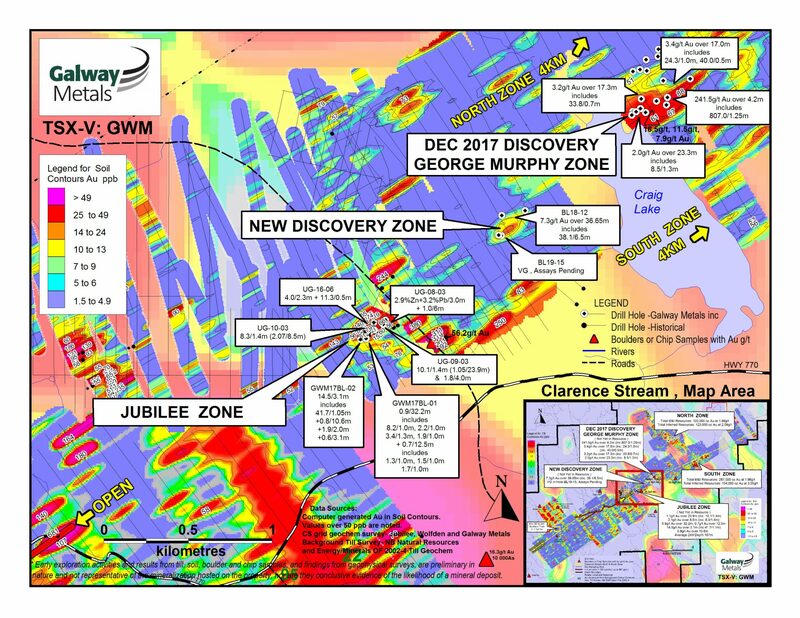 TORONTO, ON / ACCESSWIRE / February 13, 2019 / Galway Metals Inc. (TSX-V: GWM) (OTC PINK: GAYMF) (the "Company" or "Galway") is pleased to report first assays from the brand-new gold discovery at its Clarence Stream Gold Project in SW New Brunswick. 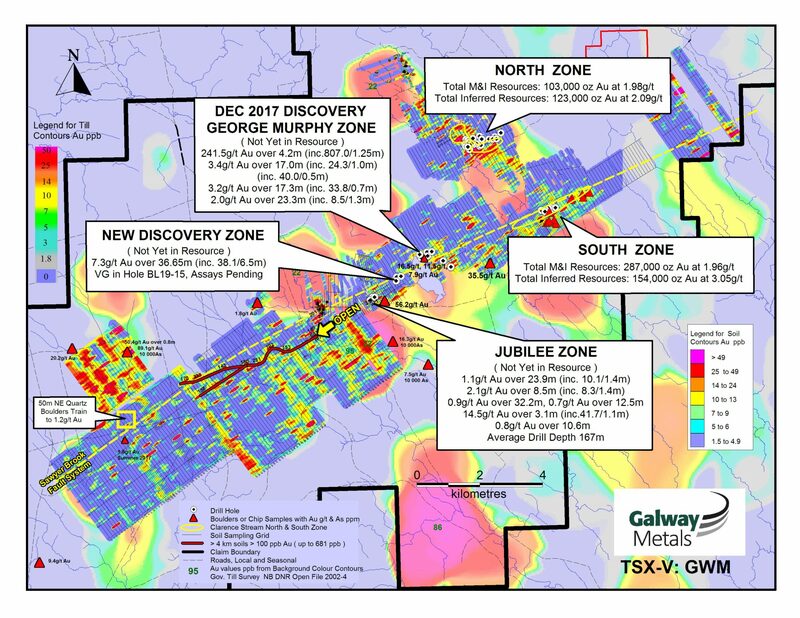 Significantly, the new gold zone is in an area where there has been no previous drilling, centered between the George Murphy and Jubilee Zones, approximately 1km from each. This new discovery highlights the importance of Clarence Stream as one of Canada's most exciting new gold camps. 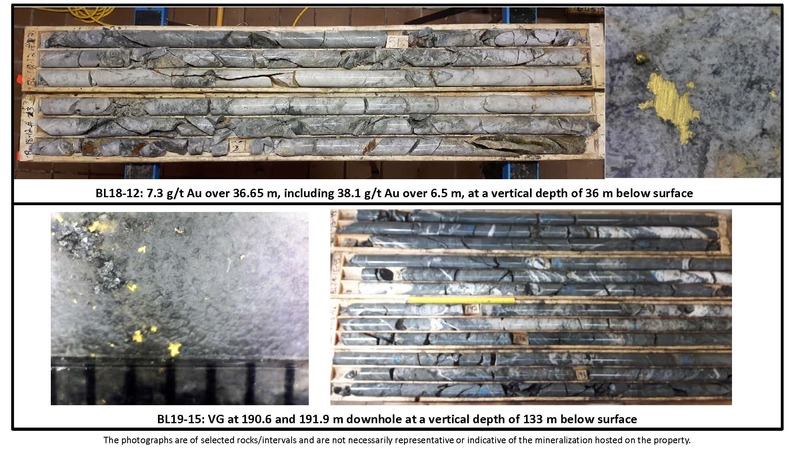 The discovery hole, BL18-12, returned 7.3 g/t Au over 36.7 metres, including 38.1 g/t Au over 6.5 meters in multiple quartz veins containing abundant visible gold, starting only 51 metres downhole and 36 metres vertical (Figure 1).